Our backpacker hostel is located at the edge of the city center. Beside our enclosed cafe, in the nearby neighbourhood you will find lots of nice, cheap restaurants, a bunch of stylish and old-fashioned bars, dancing clubs, theater, cinema, shopping, green parks for relaxing etc. We are easily accessible by public transport. We offer low priced but comfortable accomodation, with friendly people in a good location and we hope everybody will feel very welcome in our house. For self sufficient guests we offer kitchen facilities in the common room. But also our cafe provides opportunities to have a rich breakfast, a hot cup of coffee or tea with a delicious piece of cake in the afternoon, or a relaxing glass of wine or beer with friends in the evening. 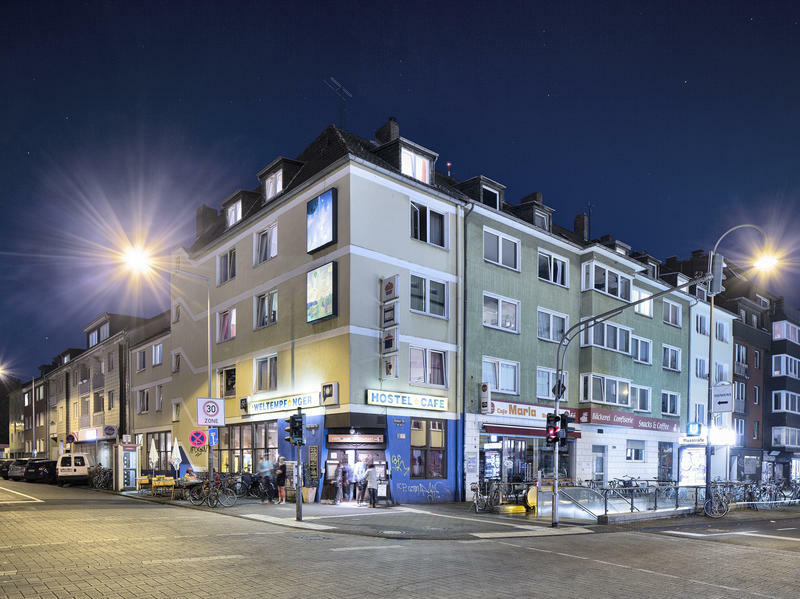 Our hostel is a very good starting point to explore the city of Cologne. All dormitory rooms contain bunk beds and lockers. You can bring your own padlock or buy one at the reception. Most of the rooms contain private bath. Linen are provided, towels can be rented. The fully equipped kitchen in the first floor is open for common use. You can store the food you brought in the fridge. For a small extra fee there will be offered a nice breakfast in the WeltempfÃ¤nger Cafe. From cologne main station you take underground no. 5 to 'Friesenplatz' (just 2 stops), than change to underground 3 or 4 (same platform) and go for another 2 stops in the same direction to 'Piusstrasse'. Arriving at the airport Kln-Bonn you take the train S 13 or RE 7 to Station 'Bahnhof Ehrenfeld'. From here you reach us by foot in a few minutes or you take the tram line 3 or 4 to 'Piusstrasse' (2 stops). From Autobahn A1 change to A57 at 'Kreuz Kn-Nord' in direction 'Kln-Zentrum'. Pass the exit 'Ehrenfeld', after the underpass keep on right in direction 'Kln Sd Lindenthal'. Turn right at the second cross road to 'Venloer Strae'. At the next corner to your right you will see the Weltempfnger Hostel.